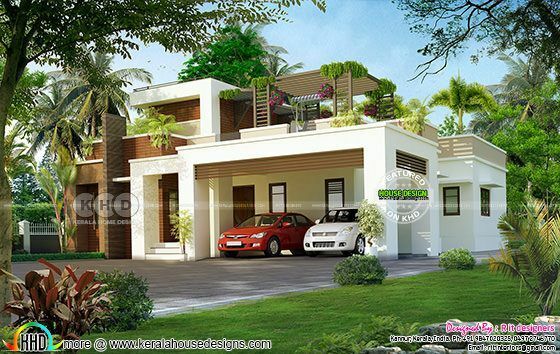 Modern flat roof house plan in an area of 2573 square feet (239 square meter) (286 square yard) 3 bedroom modern house architecture. 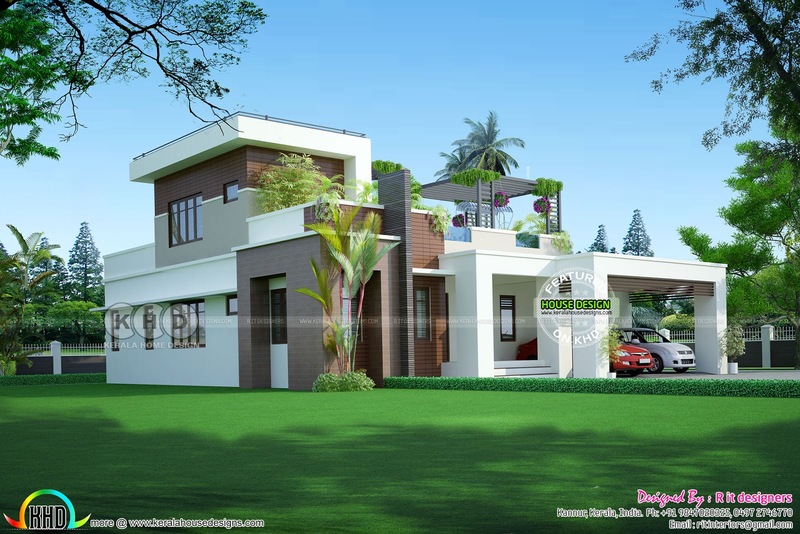 Cost estimated for this modern house is ₹56 Lakhs (January 05, 2018). Design provided by Rit designers, Kannur, Kerala. Ground floor area : 2308.40 Sq.Ft. Total Area : 2573.09 Sq.Ft. 0 comments on "2573 square feet modern flat roof home with budget"